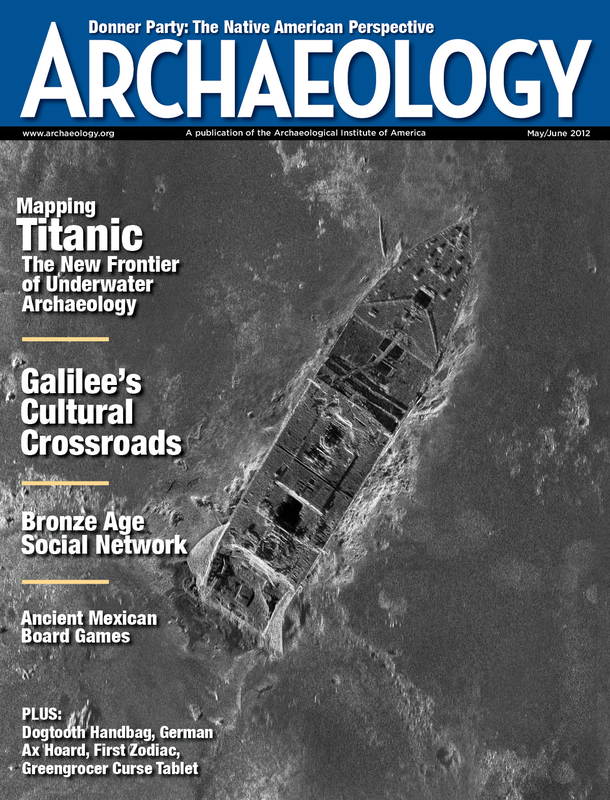 Editor’s Note: Please scroll down to see a copy of the May/June cover of Archaeology Magazine. This issue features a first hand account from archaeologist James Delgado who has dived down to the wreck and discusses the changes in the wreck over the past decade. Archaeology went on sale last week and can be found at many Barnes & Noble Stores. Readers who are new to this blog may remember that I started writing about the newsstand business as a tongue in cheek response to what felt like an endless stream of “you’re all doomed” articles and blog postings about our shallow little inlet of the great magazine sea. 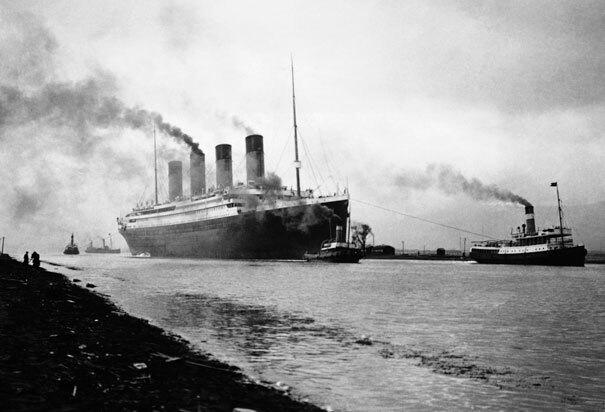 It never actually occurred to me until recently that I would have the opportunity to blog on the 100th anniversary of the sinking of the RMS Titanic. It would be a lie if I didn’t say it all felt a little strange. So are there actual magazines out there covering the anniversary of the disaster? But of course there are. In our world, we cover everything. There is a niche for every niche. 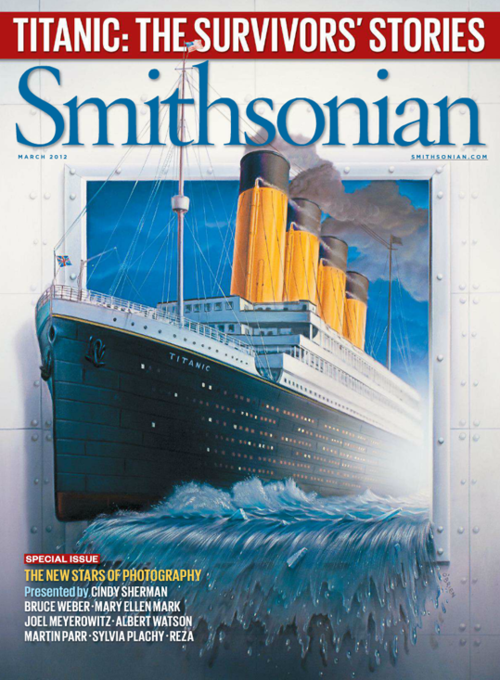 This year, Smithsonian Magazine got there first with their coverage of the sinking of the Titanic in their March issue. Where are the 3D glasses when you need them? As a rule, I’m a big fan of illustrated covers and I love that this issue covered the story in a different way. 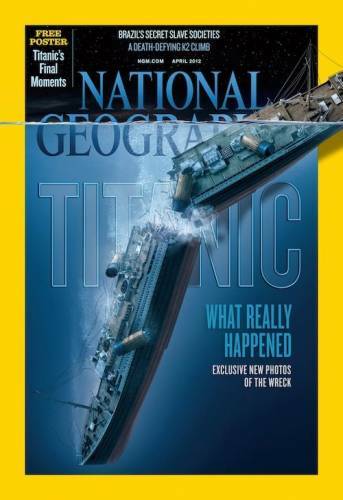 National Geographic has been on top of the Titanic story for some time and the April issue featured another illustrated cover with a startling portrait of the final moments aboard ship as she broke in two. 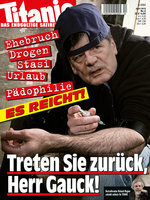 The free poster promised inside the magazine is as dark, disturbing and ultimately engrossing as the cover. So where in your bedroom would you hang the poster? Not surprisingly, the good folks over in the Time/Warner building have pulled the dust covers off of Life Magazine, rolled her up from the basement storage locker and cranked out a $12.99 special. It’s worth every penny. If you’re into 100 year old nautical disasters. I am. 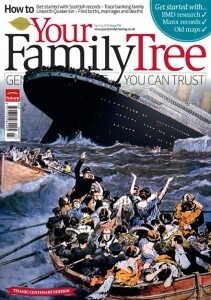 But the default winner in the 100th anniversary disaster magazine niche category has to go to our “English Cousins” at Future who shoehorned the sinking of the Titanic into their quarterly special, Your Family Tree. As soon as I can dig out a copy, I’ll report back on just what, exactly, this is all about. But sight unseen (except for a cover image) this one wins and everyone gets into the lifeboat. Lastly, I’d be remiss if I didn’t point out that the German’s have a leg up on all of us with regards to the ill fated ship. 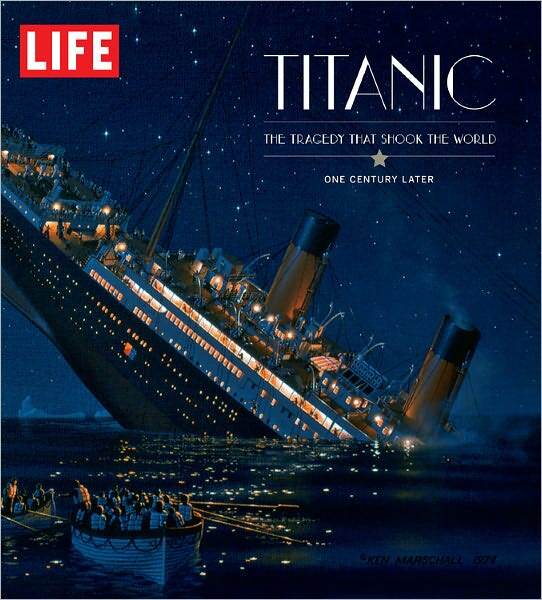 They have a monthly satire magazine by the name of Titanic. That logo is just awesome. Tell me you don't lover their logo. If you come across any interesting Titanic displays out on the newsstands, don’t forget to send them my way to newsstandpromos at gmail.com. The May/June 2012 photographic cover of Archaeology Magazine. Submitted by the publisher. And remember, the “Things Placed in Front of The Magazine Rack” feature continues. Please send in your photos. In searching for a name for this blog, I tried a many ideas and discarded all of them as too clever or pretty. Everything I came up with seemed tired, trite, overwrought, uninspired, doomed to failure. In other words it sounded like most of the articles you read about single copy sales: trite and overwrought. You get the picture. Eventually I hooked onto a memory that seemed appropriate for what I am trying to do here. But to get there, let’s back up first so I can explain to anyone who may pass by what the blog is supposed to be all about. I’ve spent my entire adult career in the single copy sales business. I’ve worked for national distributors, publishers of all sizes, consulting firms and I’ve consulted on my own like I do now. Part of the reason I stay in the business is that I’m good at what I do. It’s fair to say that I love magazines and can’t think of anything else that I’d like to do. But the biggest reason for my longevity is that in spite of all of the consolidations we’ve endured, in spite of the incredibly bad management some of our premiere companies and trading partners have encountered, in spite of the ridiculously uniformed and badly written press our industry has had to read, I’ve never met more interesting, inspiring, productive, funny, and lovely group of people. It is the people who keep me working away in this industry. The goal here is to write stories about how we market our products , who we are, what we really do. I don’t really care how many readers I attract. And I also want to write about the products that we’re responsible for: magazines. Why we love them, how we hope to be relevant in a changing world. My hope is that this becomes the story of how we adapted, changed, learned new skills, charted new paths. If that is the story I get to tell, the ending will be very different. It will be about how we approached the brink of extinction and pulled back from it. How we turned onto a new course that brought us into safe harbor. Sometime in the late 1980’s or early 1990’s, I was calling on the Western Michigan News Agency. It was then managed by the funny and sharp edged Ron Lankerd and owned by the Stoll family. Several national distributors had representatives based there. One of the things that made working there so much fun was the fact that these guys were the funniest and motliest crew in the area that was then my territory and the interactions between them and Ron was worth the long ride to Grand Rapids. Working in their “rep room” was sort of like being in the Cheers Bar without the beer (At least until lunch time). One day a local publisher came into the room to review her distribution and meet with Ron. After a few minutes of working through the printouts, it became obvious that she was upset. There was a lot of huffing under her breath. A lot of hair tossing (so maybe it was the late ‘80’s ). She went in to meet with Ron. She returned about a half hour later and was visibly pissed off. Like most “Rep Rooms” of the era, this one was a modest sized room in between the front office and the warehouse. We worked on a random assortment of desks and tables that faced the four walls of the room. She whirled around in her chair, faced me and the other reps.
“You guys better go and find something else to do with your lives,” she fumed. “That’s the goal, sweetheart,” said one of the reps. The others chuckled. “I’m not your sweetheart,” she growled. “Ain’t that the truth!” The third rep replied. She grabbed her things and left the building and I never saw her again. I heard from the Grand Rapids reps a few months later that her magazine went out of business. Western Michigan News is closed and the Stoll family has moved onto other pursuits. Our industry has consolidated, and then consolidated again. The Grand Rapids reps were let go in the first round of consolidations. Are our lives accident and chance? Or fate? Is it destiny? I’ve read articles where it is suggested that the Titanic didn’t have to sink. Captain Smith could have gone more slowly through the ice pack. There could have been more life boats. The designers could have built better bulkheads and water tight compartments. But the Titanic did sink because none of that happened. So what about our business? Industry leaders have warned for years that that we’re heading for an iceberg. Are we? Many of the articles about our industry suggest that we are on the brink of disaster. Or that we have already passed that critical point and are now sinking beneath the wave of digital and web. I could have named this blog “From the Bridge of The Titanic.” After all, I own my own business. I’ve been a reasonably well placed executive at a publishing company. I’ve worked in some visible places and I have longevity and experience. But I like the foredeck better. I’m closer to the waves. I can still see what’s coming but I’m not so removed from it. And maybe, just maybe, if I shout loud enough, the people on the bridge may hear me and steer clear of the iceberg. If not, at least I’m close to one of the life boats. I have no interest in drowning.